Illustration of the Radarsat 2 satellite. Photo: MDA. 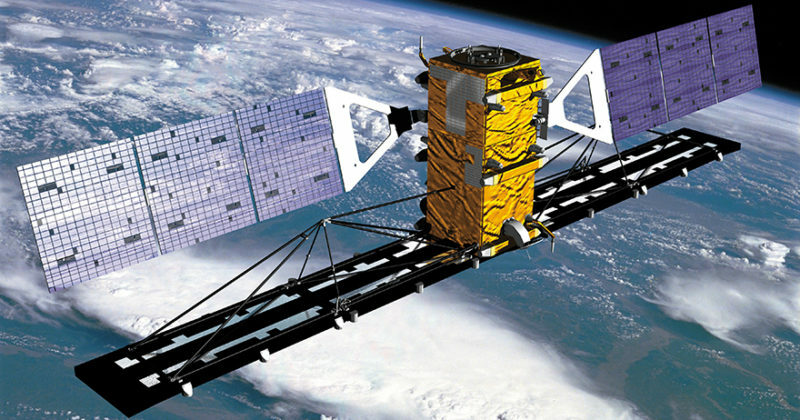 MDA has recently signed multiple geospatial-related contracts based on data from the Radarsat 2 Synthetic Aperture Radar (SAR) satellite. According to MDA, the contracts have a combined value of approximately CA$16 million ($12.4 million). The first contract extends provision of Radarsat 2 information to EarthStar up to Dec. 31, 2024. EarthStar uses the information for a variety of applications that includes land monitoring and change detection. MDA will also continue to work alongside the European Maritime Safety Agency (EMSA). Under this contract, MDA provides data to support EMSA in the areas of maritime safety, maritime security, law enforcement, fisheries control, and marine pollution monitoring. MDA extended operational support to Canada’s Department of National Defense (DND), which includes the use of the East and West Coast Radarsat 2 ground systems for the DND Polar Epsilon Near Real-Time Ship Detection system. Lastly, MDA will provide data information services for onshore and offshore monitoring to multiple oil and gas customers. MDA has developed a suite of off-the-shelf solutions that exploit SAR imagery and associated information to support maritime, forestry, infrastructure development, and surveillance applications.